WASHINGTON: He didn’t count on the women in white. 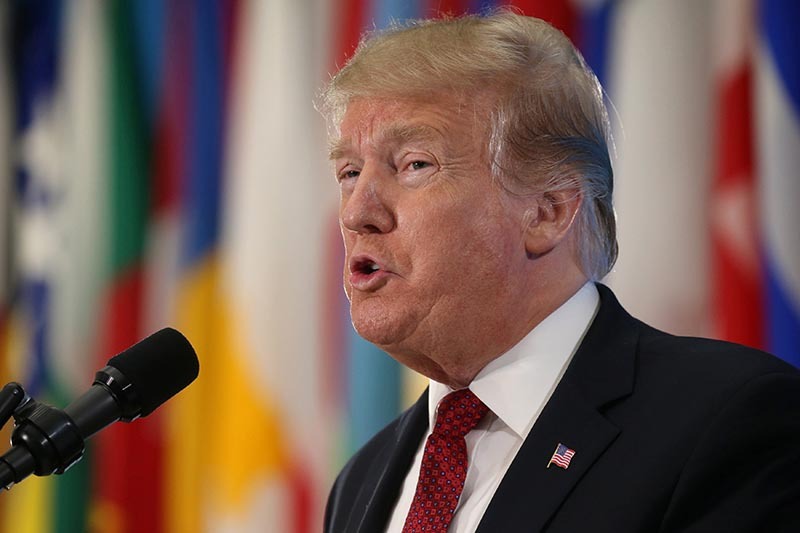 President Donald Trump’s State of the Union speech on Tuesday was billed as his attempt to unify the country. But Democratic women lawmakers from the House of Representatives, many of them dressed elegantly in white to celebrate 100 years of women having the right to vote, projected a picture of calm displeasure during Trump’s speech that made clear his version of unity was not one they could accept. House Speaker Nancy Pelosi, the most powerful Democrat in the country, sat behind the president on the stage, wearing a white pantsuit. She shook her head or looked on disapprovingly when he challenged Democrats or laid out a dark vision of illegal immigrants assailing America. Representative Alexandria Ocasio-Cortez, a young social media star, looked down or away when Trump delivered comments she viewed as egregious and stared daggers at colleagues who stood and clapped. Then the president spoke about women in the workforce, and the dynamic changed. Briefly. As he lauded the growing number of women finding jobs in the economy, the women lawmakers in white rose and cheered, apparently for themselves, for filling many of the open jobs in Congress during the congressional elections in November. “You weren’t supposed to do that,” Trump said with a smile, pointing at them and drawing laughter. Telling them not to sit down yet because there was more good news to come, Trump went on to recognize the record number of women serving in the Capitol. They cheered some more and chanted: “USA, USA!” Republicans joined in. It was a rare moment during the long speech, which otherwise drew mixed reactions from the audience, divided with Republicans on one side of the chamber and Democrats on the other, in a reflection of the deep partisan chasm that has characterized the country before and after Trump’s 2016 election victory. When Trump said the United States would be at war with North Korea had he not won the presidency, Democrats groaned. When he declared the state of the union “strong,” they disagreed and most stayed in their seats. When he warned against “ridiculous partisan investigations,” the sound of hissing could be heard. Proclaiming that the United States would never be a socialist country, Trump drew an ovation from Republicans and even some Democrats. Senator Elizabeth Warren, a Democratic presidential hopeful, hesitated but eventually stood up and clapped. Ocasio-Cortez, a self-described Democratic Socialist, smiled broadly. There were some moments of bipartisanship. When the president called for embracing the principles of compromise, Pelosi stood up and applauded heartily. Trump turned around and nodded to her in acknowledgement. Lawmakers applauded an elderly American who helped liberate the Dachau concentration camp in Germany during World War Two and erupted in cheers for former astronaut Buzz Aldrin, the second man to walk on the moon. But those moments were more a rarity than a rule. At the beginning of the evening, as Trump entered the chamber, Republicans clapped, while some Democrats stood and kept their hands folded. The image-conscious president’s signature red tie hung slightly to the left in his jacket as he walked in, and stayed that way while he spoke. In the chamber’s balcony, first lady Melania Trump, dressed in black, sat with specially invited guests. They included Debra Bissell, whose parents Trump said were killed by an illegal immigrant; Matthew Charles, a former drug dealer who was released from prison as part of bipartisan prison reform efforts; and Joshua Trump, a sixth-grade student from Delaware who has been bullied because of his last name. Pelosi’s guests included two active-duty transgender members of the U.S. Army, Captain Jennifer Peace and Major Ian Brown, in a critique of Trump’s efforts to ban transgender men and women from serving in the military. Pelosi essentially rescinded Trump’s invitation to deliver his address in the House chamber. The White House considered choosing another location for the president’s speech, perhaps at a venue near the U.S.-Mexico border to emphasize his call for a wall to keep out illegal immigrants. But Trump decided to delay, wanting the pageantry and spotlight that only come with the annual address to Congress inside the Capitol’s walls. He got the pageantry. He got the decorum. But unity was scarce. The post At State of the Union, women in white stand up (or sit down) to Trump appeared first on The Himalayan Times.